We are specialists in reinforced concrete, offering a complete service including drilling, cutting, breaking and building. We work with a wide range of customers on a variety of jobs from major civil engineering projects to smaller scale installations in the agricultural and domestic sector. We encourage our customers – and potential customers – to get in touch early on: we can assist with feasibility and planning of your works to ensure savings in terms of time and money. However, if early consultation is not possible, we can also work at short notice and deliver within tight time limits. 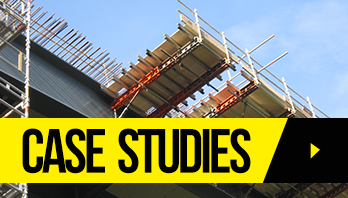 Our civil engineering experience covers sea defences, motorway bridges, parapets, waste water treatment works, and the installation of power floated floors. We have worked with many of the major construction contractors in the UK and on many large scale infrastructure projects. In the agricultural and domestic fields, we work with farmers, building contractors and self-builders to provide a wide range of reinforced concrete services including precast concrete manufacture. Our work includes slurry and silage pits, basements, staircases, swimming pools, and retaining walls. We are groundwork contractors and own the plant and equipment to enable us to carry out a wide range of substructure activities in the commercial and residential sectors. We stock a wide range of formwork/shuttering and falsework which enables us to work on any project large or small. Should you wish to carry out this work yourself, we are happy to hire formwork and falsework to you to complete your installation. Our experts are trained to offer a wide variety of diamond drilling services from diamond drilling, diamond sawing and concrete cutting processes depending on the requirements of your construction project. We offer the installation of power floated floors for industrial units. Cast in situ the resulting polished floor provides the necessary hardwearing, smooth surface for the installation of machinery.